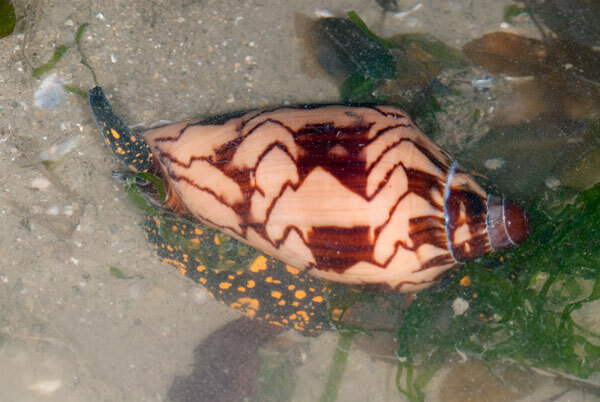 A female Masked burrowing crab (Gomeza sp.) 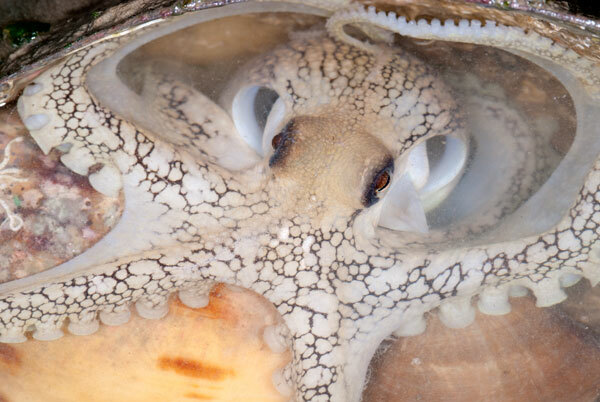 with eggs was found at Changi during the Comprehensive Marine Biodiversity Surevy (CMBS) Northern Expedition held last October. 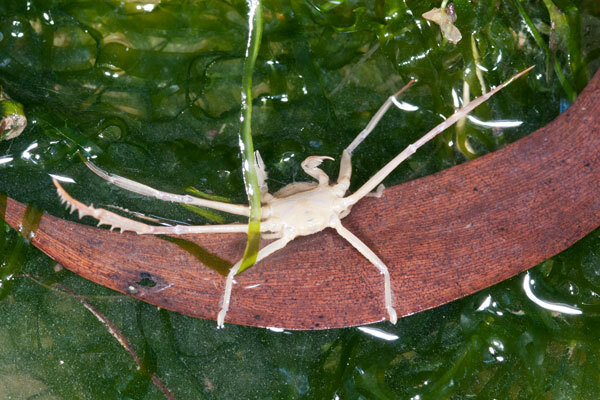 This special crab was sighted today at the exact location. In fact, the team found 6 of them! 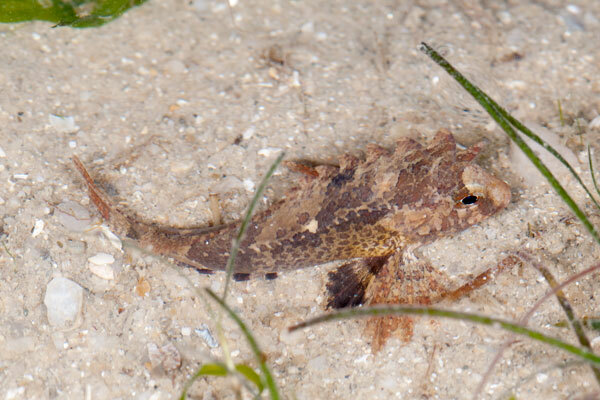 As the common name suggests, the Masked burrowing crab burrows and stay in the sand. 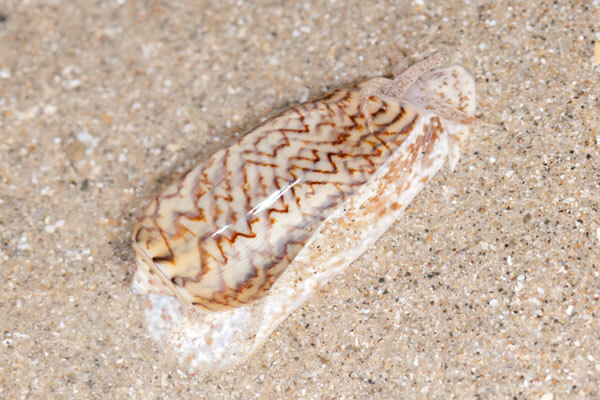 It is difficult to spot the crab when it is burrowed. 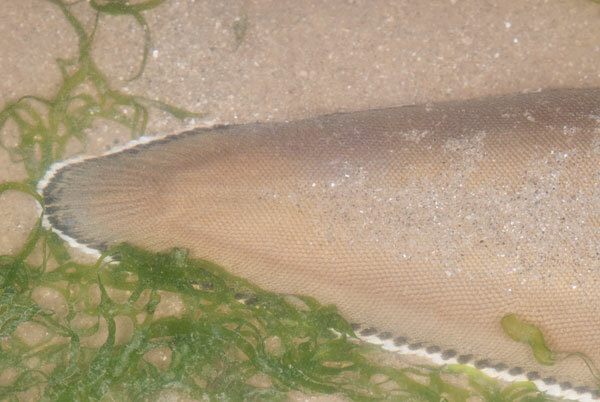 However the crabs were out in laying motionless on the sand and seagrass patches. What was the reason for this strange behaviour? 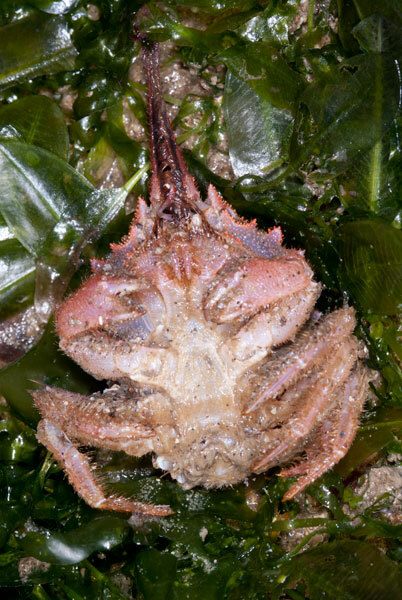 There were other crabs sighted such as the plentiful swimming crabs in various sizes, the Leaf porter crab and the Moon crab (Ashtoret lunaris). 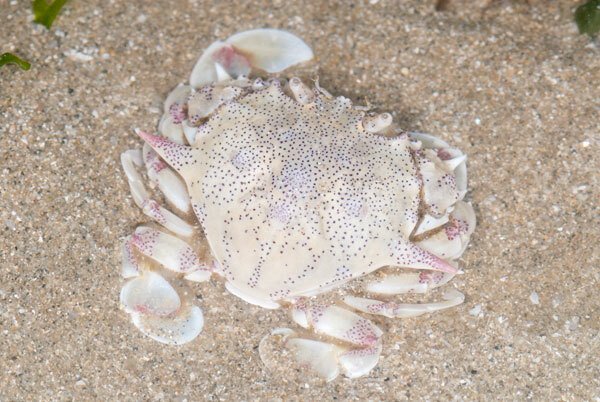 Moon crab exposed out on sand. 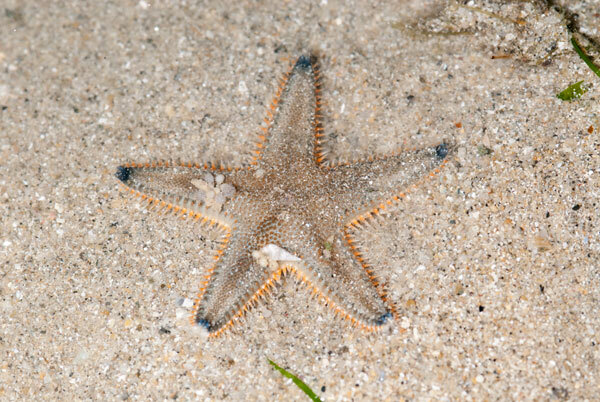 I am still struggling to get a good exposure of the Moon crab with the sand. 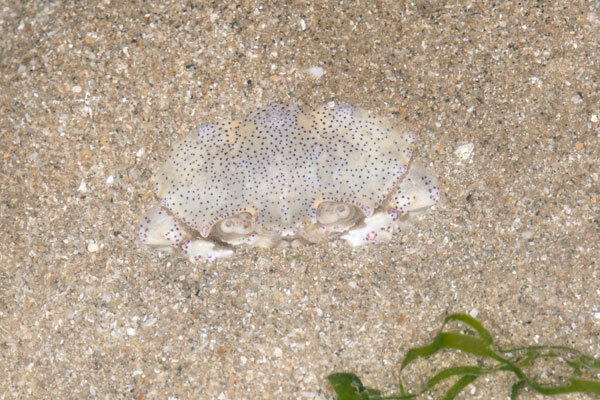 May times where I have taken the image of the Moon crab, the exposure seems to be thrown off on either the crab or the sand. More experience required on this. 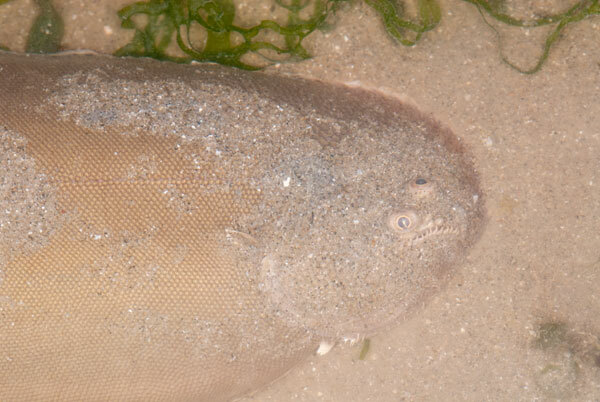 With the news about the supermoon occuring last night, it seems to bring out many of the "moon" marine animals out of hiding. 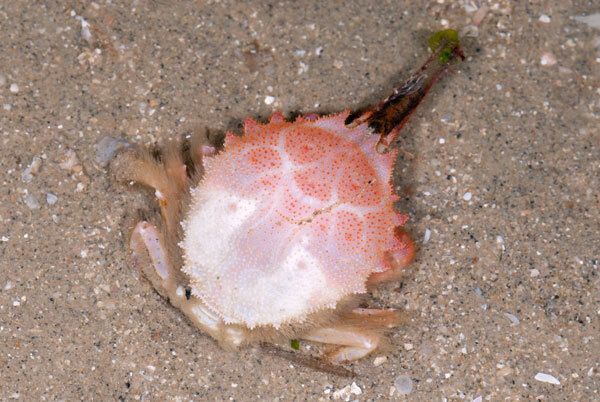 First there was the Moon crab. 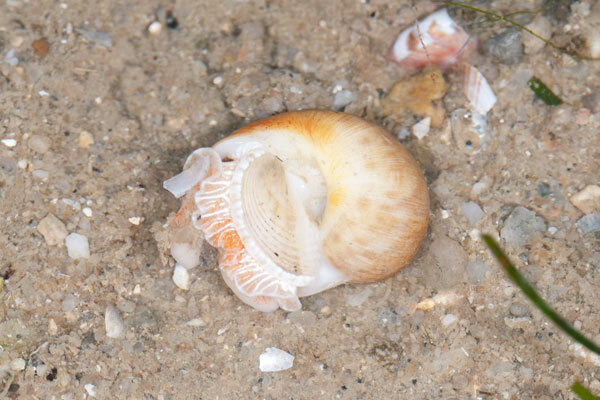 Then there was quite a number of Ball moon snail (Polinices didyma) out today, probably on hungry mode. 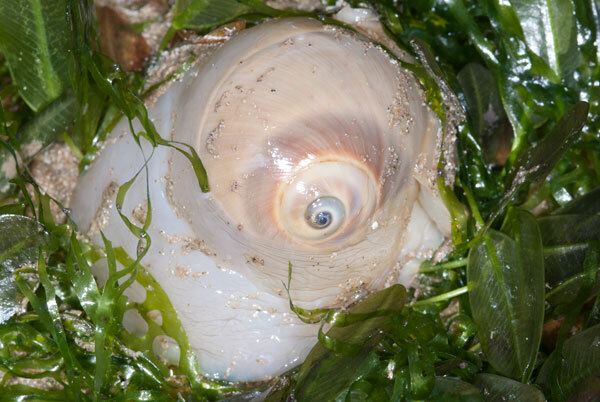 These Ball moon snail do move fast. 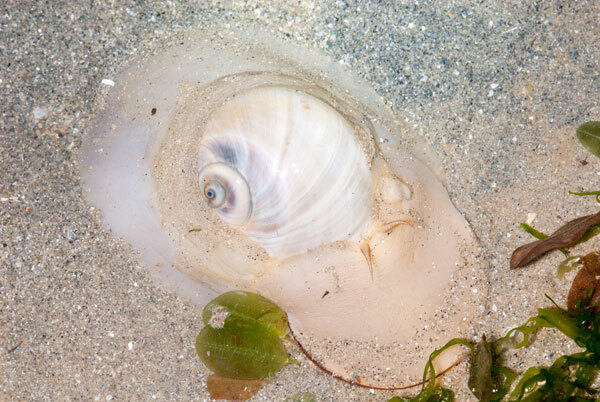 Moon snail out on the sand, moving. 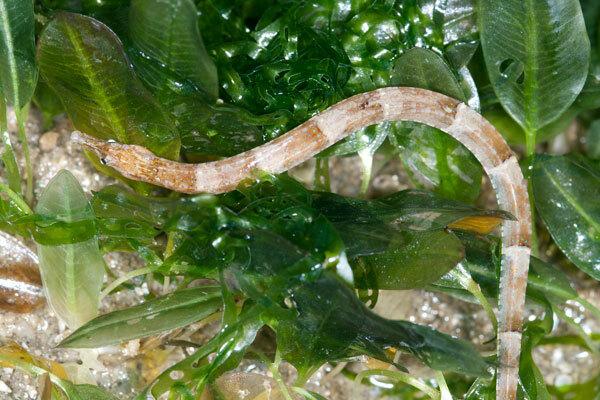 Moving around on the seagrass patch. 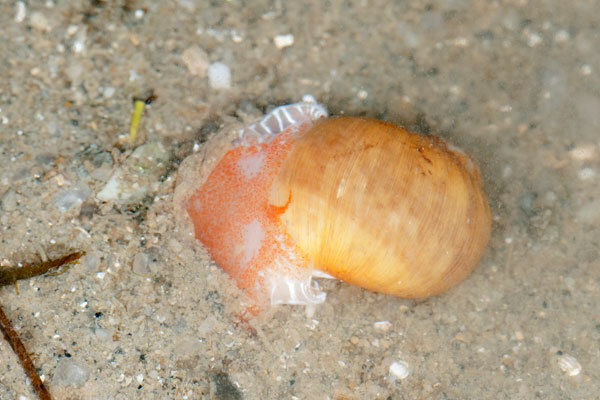 The other "moon" animal would be the Pink moon snail (Natica zonalis). 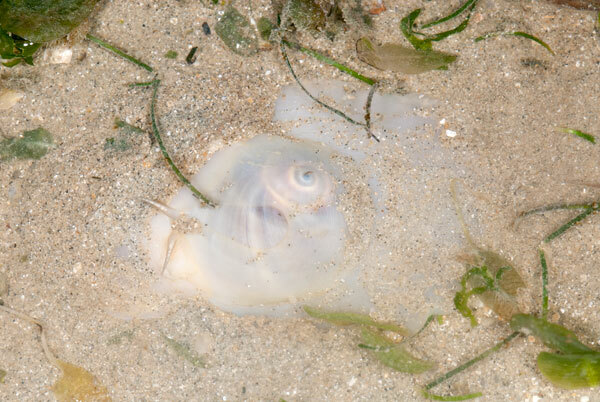 However this fella was not very corporative and refuses to come out fully from its shell. That's all it showed me. 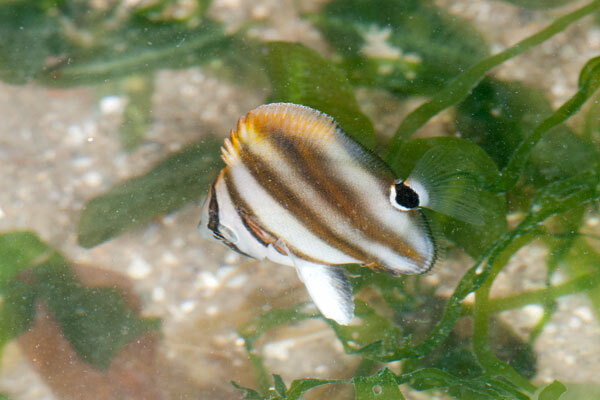 The many little shallow pools formed on the seagrass patch kept many small fish under protection. I saw a few types of fish on this trip. 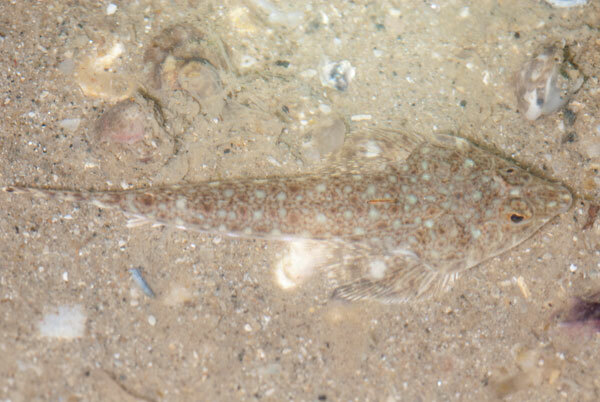 Commerson's solefish (Synaptura commersonnii), head. 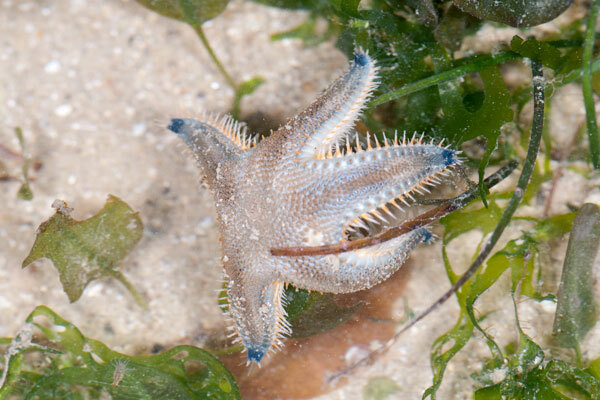 It seems like that the sand stars (Astropecten sp.) 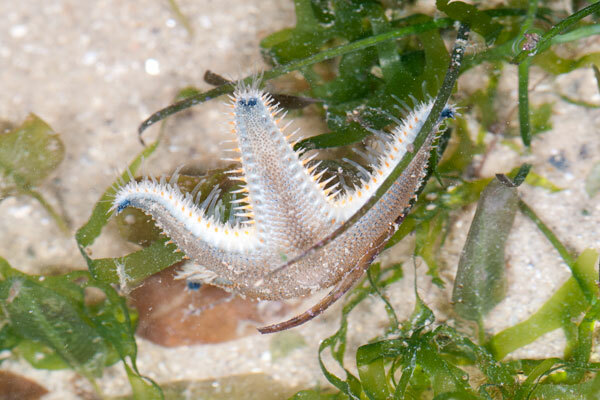 are having an awesome party on Changi shore this morning. There were moving about everywhere and in various positions. 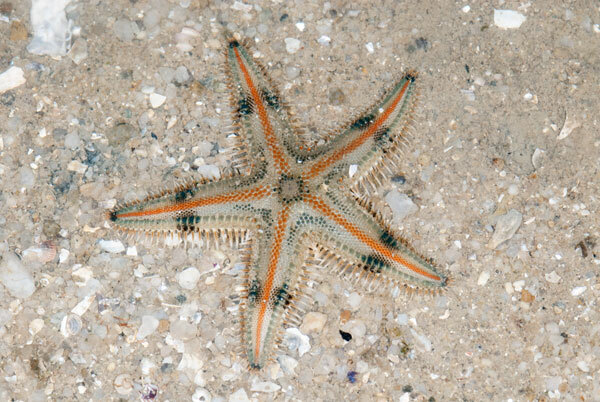 There was only one Painted sand star. 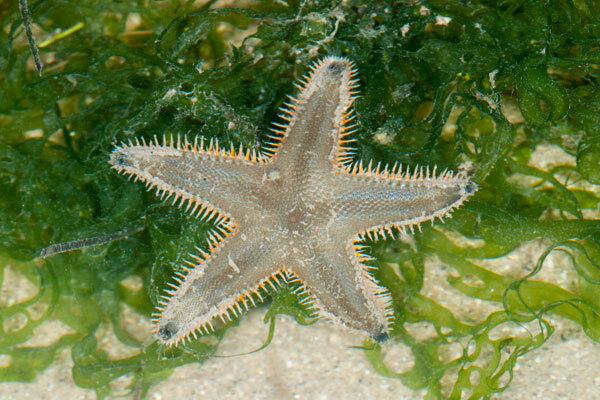 The rest of the sand stars seen are the Plain sand stars. Along the way, we spotted a Baler volute (Melo melo). Unfortunately, the actual animal is no longer residing the shell. 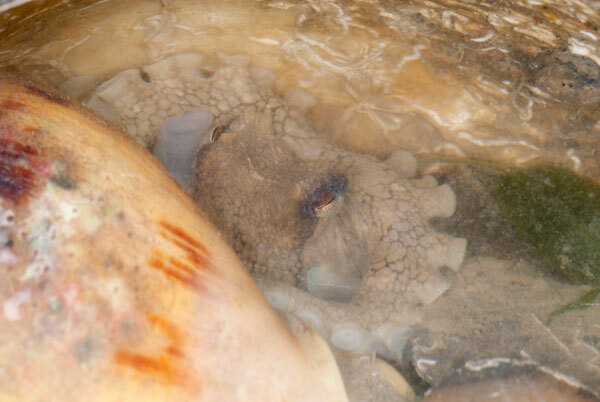 Instead a Big-head seagrass octopus has taken over the empty shell with its entrance filled with broken clam shells. 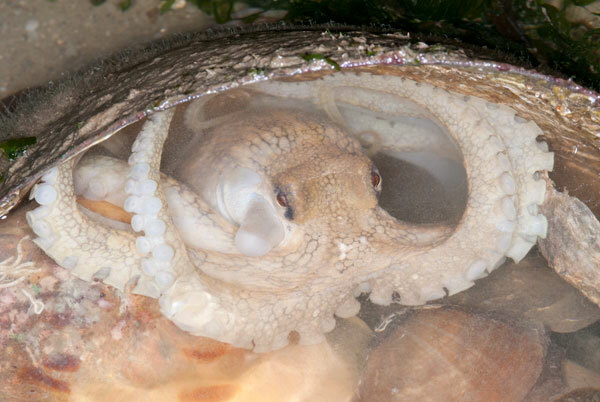 Mei Lin thinks that it is possible that the octopus could have killed the snail and taken over the shell has a form of shelter. 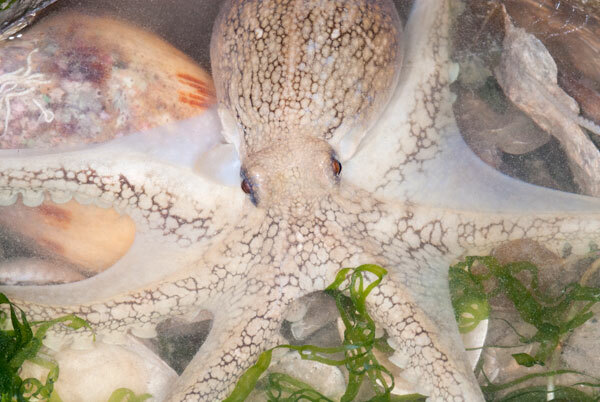 As I checked out the octopus, it came out briefly to have a quick stretch of its arms. 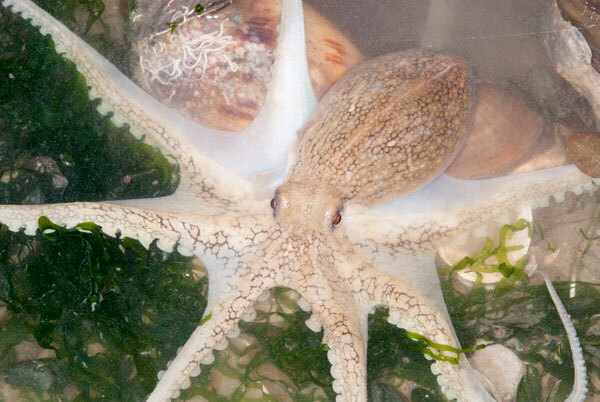 Here's the flow of images of the octopus. 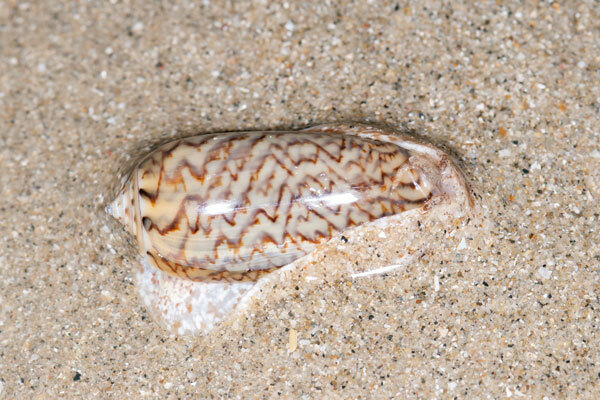 Though disappointed with no Melo melo sighting, I was able to see 2 Noble volute (Cymbiola nobilis). 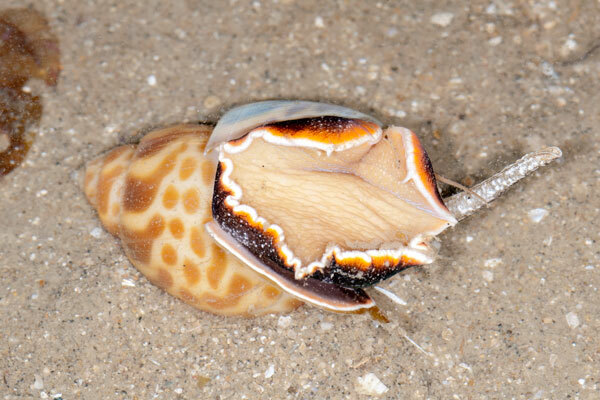 A Weasel olive snail (Oliva mustelina) was kind enough to crawl on the sand long enough for some of us to take photos of it before it starts burrowing into the sand. 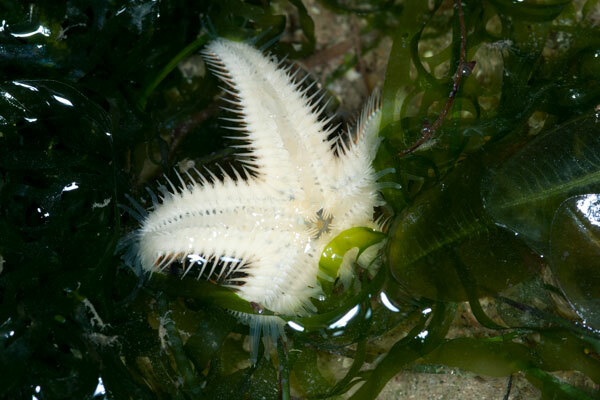 Then I sighted 2 Glass anemones (Dofleinia sp.). 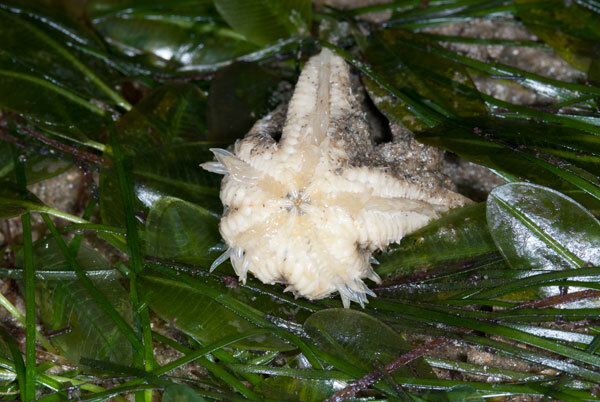 Having encountered this anemone before has equipped me with knowledge that I should avoid contact with this anemone. 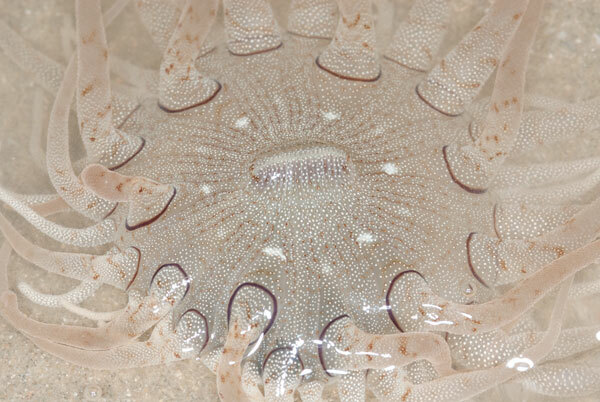 The anemone has transparent tentacles and oral disk covered with tiny bumps and the animal wil inflict a rather painful and annoying sting when in contact. 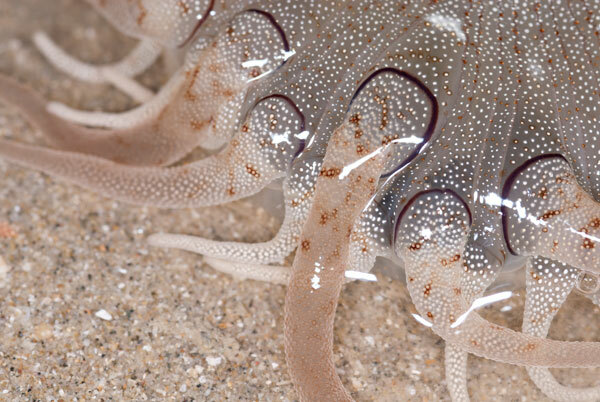 Tiny bumps on the tentacles. 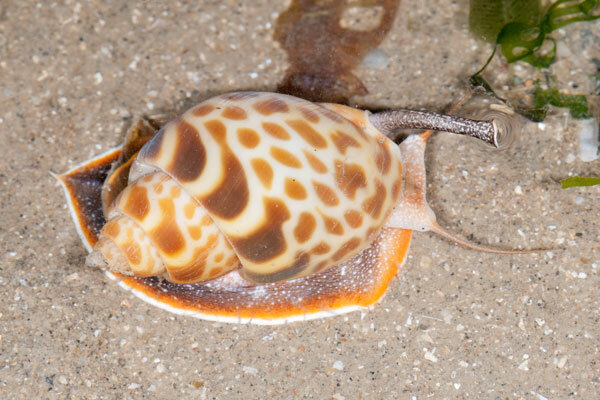 Another special find for this trip would be a new snail sighting. 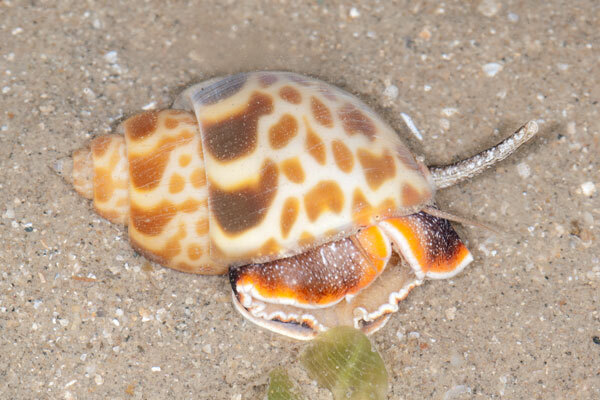 I heard that a paper on this special snail is going to be published soon. 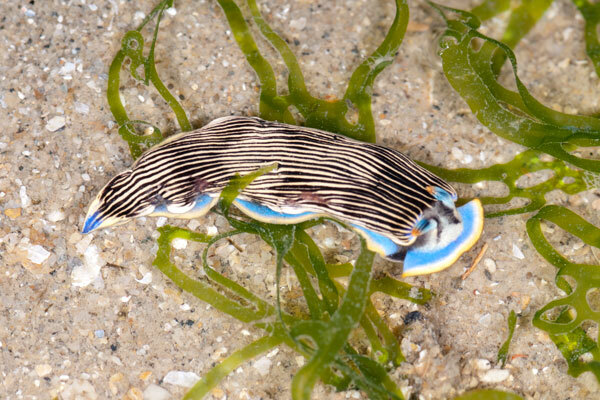 Lastly, a Semper's armina nudibranch. This stretch of shore at Changi is simply amazing. Ever visit brings special finds.